A well-known Broken Bow brewery has opened its doors in the Haymarket District just in time for the Husker football season. Tucked in alongside Iron Horse Park and Burlington Antique Mall, a neon sign points to the “taproom” and a fresh new wall of windows. 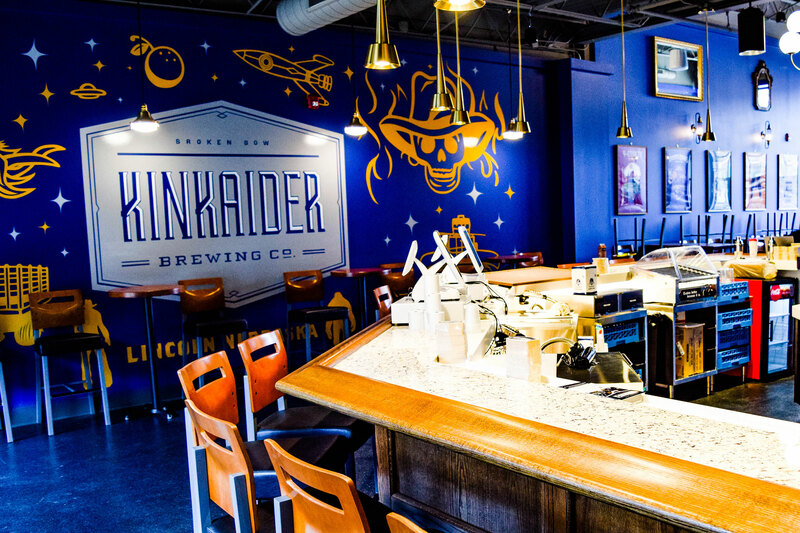 It’s Kinkaider brewery, a name you might recognize emblazoned on your favorite Nebraska brews, like their “Dan the Wiser” Kölsch or their seasonal “Snow Beast” winter ale. Kinkaider Brewery began in 2010 when owner Cody Schmick moved to Broken Bow, Nebraska and met Dan Hodges and Nate Bell. They became fast friends through their local homebrew club, where Hodges brought his own brews that were consistently spot on. Schmick opened Kinkaider Brewery a mile outside of Broken Bow in 2014. Hodges was dubbed brewmaster, Bell was put in charge of procurement and Barry Fox joined on with a vision for the four acres of land the brewery would sit on. The Broken Bow location has become somewhat of a destination brewery. You can take your beer anywhere on the land during Kinkaider’s big parties like Oktoberfest, which draws a thousand people to a town of 3,500. 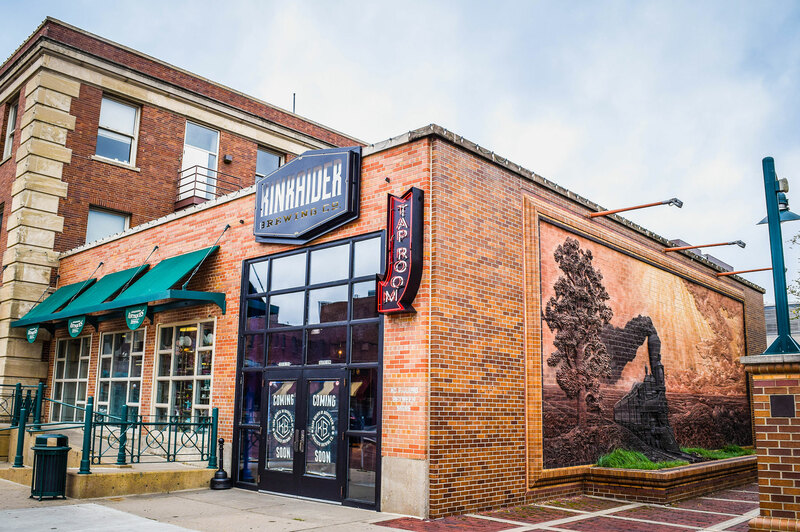 Last year, Kinkaider expanded to Grand Island to open a full restaurant and bar in a locally beloved 100-year-old theater. “[The Grand Island location] has its own vibe and it has served us really well,” Schmick said. The new Lincoln location has an entirely different look and feel as well, playing off of its location by the old train depot and proximity to Memorial Stadium. A Lincoln market means Husker tailgating, and Kinkaider is prepared for the first home game September 1. Since they’re able to use the train platform space just outside the outdoor seating area with a special designated license, their tailgating area will seat up to 500. Kinkaider will kick off the first Husker game against the University of Akron with the live band Goddesses of Rock out of Kansas City, who will pay tribute to Fleetwood Mac, Joan Jett and other female rock artists complete with lights and costumes before and after the game.